Rick is an experienced coaching and consulting professional with more than a decade spent collaborating with leaders at the highest levels of organizations to optimize their businesses and their lives. Currently he serves as chief executive officer of the telos institute, a leading global organizational consulting firm he co-founded in 2006. telos offers specialized expertise to leaders and leadership teams around the world in the areas of business strategy, leadership development, and change management. In his role, Rick is responsible for shaping the vision and guiding the strategic direction of the firm, while inspiring a growing cohort of world-class practitioners to deliver insight, growth, and transformational experiences for telos clients. Prior to founding telos, Rick spent ten years in various senior strategy and sales leadership positions within the financial services industry. Most notably, he led several organizations through periods of transition, which afforded him the opportunity to share his experience and insight in the best practices of managing personal and organizational change. Rick earned his Master of Science in Organizational Behavior from the Weatherhead School of Management at Case Western Reserve University, a program annually ranked as a global leader in the field of Organizational Behavior. While at Weatherhead, Rick focused his research on quantifying the value of coaching to individuals and organizations. The insights gleaned from this research has enabled Rick to achieve a balance in delivering both the quantitative and qualitative benefits of a successful coaching or consulting engagement. Rick also earned his professional coaching certification from the Weatherhead School and has studied at the world-renowned Gestalt Institute of Cleveland. More recently, he was named a Founding Fellow at The Harvard Institute of Coaching at the MacLean Medical School where he contributes insights and best practices to the growing field of executive coaching. 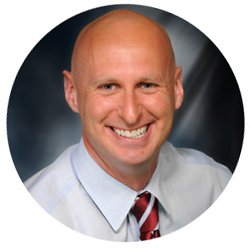 Rick is a sought-after speaker on the topics of resilience, achievement, and personal and organizational performance. He has presented or taught at The Ohio State University, The University Of Notre Dame, Case Western Reserve University, Indiana University, and many other institutions and organizations around the world. Before receiving his Master’s at CWRU, Rick earned a B.A. in Economics and Finance from Baldwin Wallace University. In addition, he is certified in numerous multi-rater feedback instruments and psychometric assessment tools. Personally, Rick tests his beliefs around achievement by running ultra marathons. His recent tests include the 2010, 2011, 2012 and 2015 US Track and Field 24 Hour Run National Championships. He lives in Cleveland, Ohio with his wife and telos co-founder Amy, and their four children.